The guidance, published by Scotland’s Tenant Farming Commissioner, Bob McIntosh, outlines the rights of landlords and tenants who might be considering diversifying into forestry creation at a time of financial uncertainty and when woodland growth is being actively encouraged by the Scottish Government. However, while the Scottish Tenant Farmers’ Association (STFA) commended the advice for outlining the rights of both tenants and landlords, it pointed out that despite government incentives and tenants’ legal right to diversify since 2003, there were very few examples of tenants planting trees, other than small shelter belts and amenity planting. The guide gives examples of scenarios where tenants and landlords might see tree planting on holdings as valuable, and Mr McIntosh makes it clear that a tenant of a secure tenancy or limited-duration tenancy who wants to use the land for a non-agricultural purpose such as tree planting can do so, provided they obtain written consent for the activity. Rural Economy Secretary Fergus Ewing welcomed the document and said he hoped it would help in the drive to expand forests and woodland in Scotland. 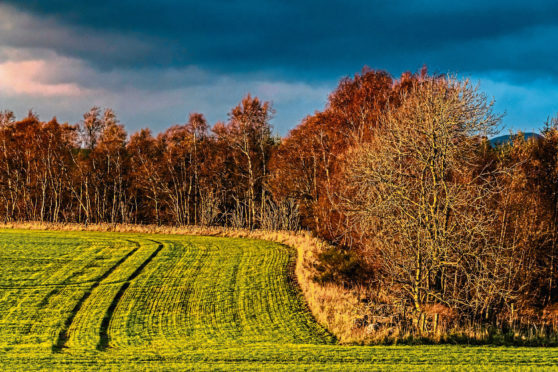 He added: “This simple and clear guide helps to lay out for both landowners and tenants how new woodlands could work for them and the benefits that can potentially be realised by all parties from planting trees in the right places.